ITIL® 4 expands previous versions by providing a practical and flexible basis to support organizations on their journey to the new world of digital transformation. It provides an end-to-end IT/digital operating model for the delivery and operation of tech-enabled products and services and enables IT teams to continue to play a crucial role in wider business strategy. 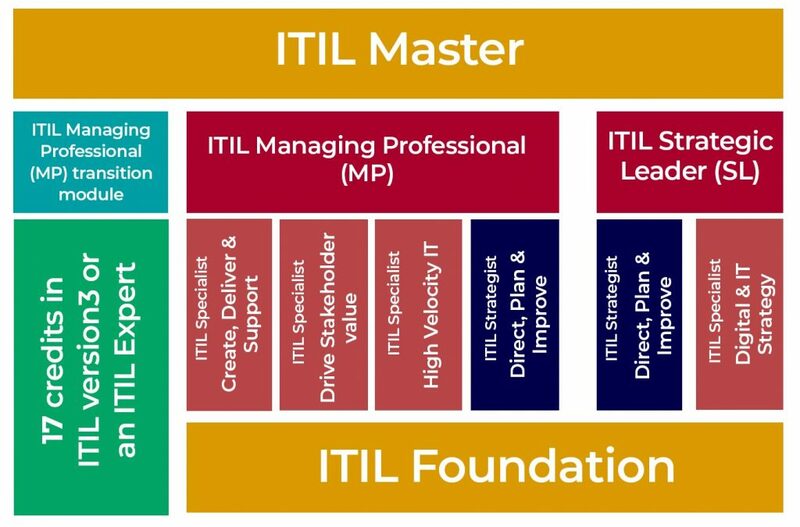 Axelos also announced that ITIL® V3 Professionals (with a minimum of 17 credits) can get the ITIL® V4 Managing professional Certificate by doing Transition Module. Do pre-registration to get the Special Early launch pricing and become the first ITIL® Professionals to be ITIL® 4 Foundation Certified. When will be the ITIL® 4 Foundation certificate available? As per the Axelos announcement the ITIL 4 Foundation Certification along with ITIL Core Guidance – Fundamental Book will be available in Q1 2019. However the exact date is not yet announced. No, ITIL 4 Foundation has large amount of new material. Therefore Candidate need to appear for ITIL 4 Foundation Examination in order to assess end-learners knowledge of the new ITIL 4 Foundation guidance. Can ITIL® Intermediate Certified go for ITIL 4 Managing professionals Certificate?